With Denzel Washington and Mark Wahlberg starring in the type of undemanding yet potentially enjoyable role both men can now clearly do in their sleep, 2 Guns should offer the kind of undemanding buddy action fodder you can switch your brain off to at the end of the week, safe in the knowledge that you’ll be suitably entertained, the most thinking you’ll have to do being to work out which beverage will best complement the takeaway about to arrive at your front door. Instead, what director Baltasar Kormákur actually delivers is a story full of unnecessary convolution, tired stereotypes and an unpleasant smattering of cruelty to chickens. Kormákur’s film feels ramshackle in its craft from the very start. Wahlberg and Washington might be able to do these roles in their sleep, but here they sleepwalk through the story, convincing as neither the bank robbers they are introduced as at the start nor faring much better as the undercover agents they are both soon revealed to be. As buddy movie pairings go 2 Guns doesn’t aim to break the mould: Stig (Wahlberg) is set up as a youthful wisecracker forced together with Bobby’s (Washington) veteran loner, as either adversaries or partners as the plot dictates, but neither trait is ever properly established in either character to make it work on more than a basic, unsatisfying level. More critically damaging, however, is the fact that we’re given very little reason to care about either of the two leads or their actions. Stig is supposedly devoted to his service as an Intelligence Specialist with the Navy SEALs, repeatedly mentioning the fact that he’s been screwed over by his “best friends”; this pivotal relationship in the film is given all of a minute of screen time before Stig and his “friends” are shooting at each other. Bobby fares even worse: the only other person we see him have any sort of relationship with is fellow DEA Agent Deb Rees (Paula Patton), a connection Kormákur hinges some important elements of his film upon but gives us minimal reasons to care about. “Did you ever really love me?” Deb asks Bobby at one point. “I really meant to love you” comes his reply. That’s as deep as relationships get in 2 Guns. 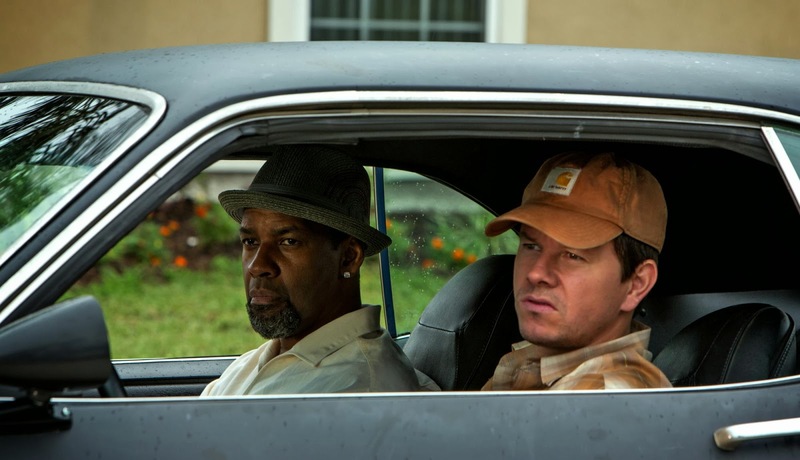 As mindless action crime fodder, 2 Guns occasionally delivers, with the initial revelation of both men being undercover without the other’s knowledge built up fairly well. The introduction of mysterious antagonist Earl (Bill Paxton) also helps to create some palpable threat in the opening act. The problems come when Blake Master’s script haphazardly attempts to juggle more and more elements, with more sides playing off each other than the film can handle. Any tension built around Paxton’s character dissipates when he disappears for a sizeable chunk of the film, only to reappear at the end when you’ve more than likely forgotten why he’s involved. Other villains either have their credibility entirely undercut - Edward James Olmos’ drug baron goes from a near untouchable kingpin to being shoved into the boot of a car - or fail to ever become anything more than flat action film baddies - step forward James Marsden’s instantly forgettable Commander Quince. Flawed as it may be, by the time you reach the final act where Bobby and Stig are playing more sides against each other than you can keep track of, whilst blowing up and shooting things and people whether they need blowing up and shooting or not, you’ll probably have given up caring about most of 2 Guns’ problems. Not enough to enjoy it, but certainly enough to make it one of the most insubstantial and forgettable action offerings of last year.